Bodum. The brand we all know and love for their amazing coffee and tea plunging prowess, have spread their wings to create the Bistro Electric range. And they’ve applied the same level of striking innovation and creativity we’ve come to expect. 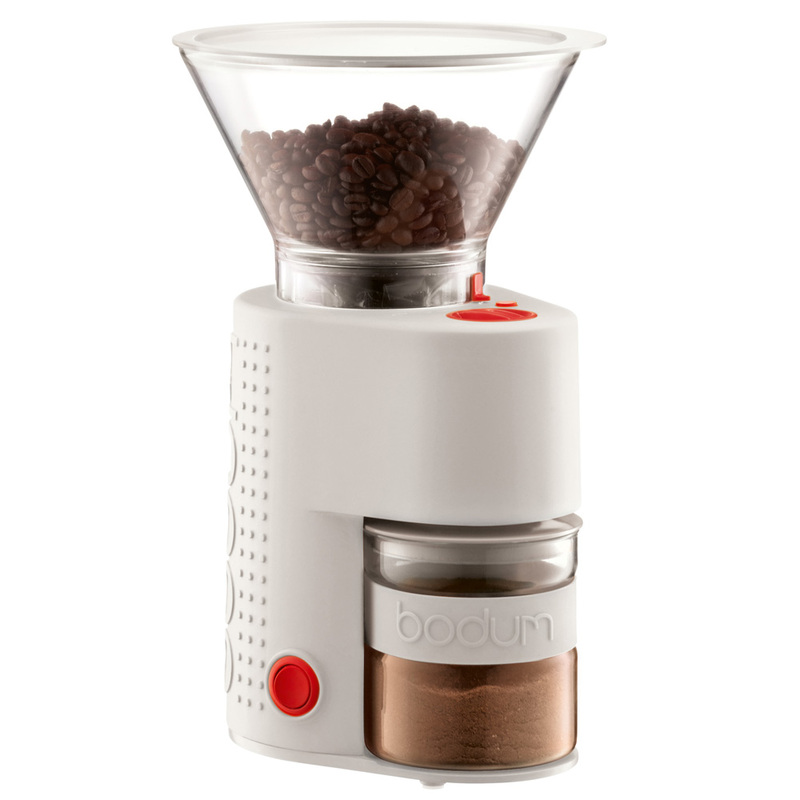 The Bodum Bistro Electric Adjustable Coffee Grinder is the ultimate in fun and function. You’ll feel just like your local barista as you adjust your own grind. Not only is the grind adjustable, but you’re better able to grind-as-you-go, to ensure the freshest grind possible… a little secret all good baristas know. Now you can too! Also, its glass container is especially good for making sure your coffee is static-free and fresh! Become your own home’s professional barista with your very own Bistro Electric Adjustable Coffee Grinder!